Thousands of tourist descend on Thailand every year and while many trips go by without major problems many common mistakes are still made. Whether it’s being scammed on a tuk-tuk ride or being ripped off just because you’re a tourist, all these mistakes can be avoided just with a little research and common sense. 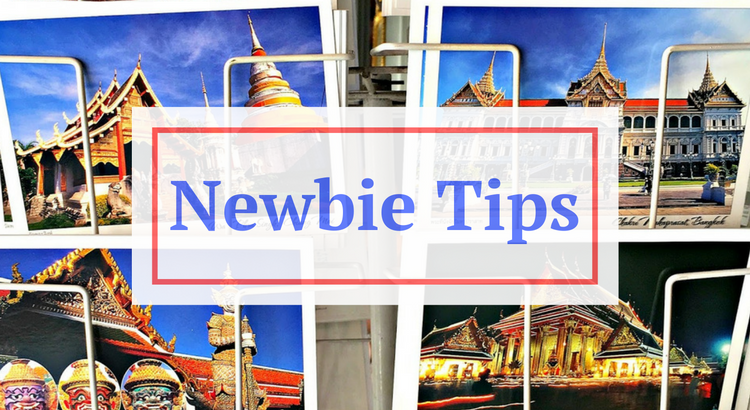 Set out below is the most common mistakes made while in Thailand and how to avoid them, making your trip more enjoyable and less forgettable. The gem scam is one of the biggest scams in Thailand and even though it’s highly documented tourists still get caught out, the majority of incidents take place in Bangkok but it can happen throughout Thailand. 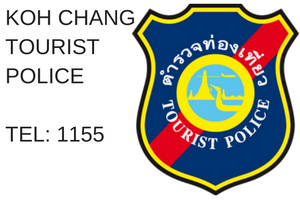 The con-artists target new arrivals in and around the main tourist attractions such as the Grand Palace or the National Museum. They proceed to tell you that said tourist attraction is closed and they can offer you a super cheap 20B tuk-tuk ride to another attraction. You then get whisked away on your super cheap tuk-tuk ride to an average temple, where funnily enough you just happen to bump into a smartly dressed man who can sell you bulk gems at a very special price to then resell for a massive profit in your own country. The tuk-tuk driver will then take you to a special gem shop to buy your bargain gems to resale and make your fortune, funny enough the gem shops only accept cash and you guessed it once you get back home and go to resale the gems, they are only a fraction of the price you were told you’d get for them. Hundreds of people fall for this scam, make sure it isn’t you! Any newbies going to Thailand or even Southeast Asia usually pack way more than they need. A good rule of thumb to follow is to lay out everything you want to take and then half it, be brutal and only take the essentials. You won’t want to be dragging your suitcase around in hot and humid temperatures. Also once in Thailand, if you’ve forgotten anything you can pick up almost anything from the markets at a fraction of the price you would in your own country. One of the most sought after activities for tourists visiting Thailand is riding an elephant, everyone loves elephants and a lot of people also want to jump on their back and go for a ride. Unfortunately for the elephants it’s not such a treat, they are overworked, underfed and mistreated. The strain and weight on their back eventually breaks it and the elephants become unworkable and are disposed of. If you do decide you want to go on an elephant ride, do your research on the camps with regard to the conditions and treatment towards the elephants. Another option is to visit the elephant camps where you spend the day feeding and cleaning the animals but not riding them, these camps treat the elephants with great respect and care. This is always a sensitive subject. Temples are everywhere in Thailand and are near on impossible to avoid, at some point during your visit you may find yourself want to enter one and have a look around. The majority of temples have a strict dress code and will not allow you to enter unless you adhere to the rules. As a rule of thumb make sure your shoulders and knees are covered and remove your shoes before going inside. Don’t be one of those disrespectful tourists who wander around in swimsuits and skimpy outfits, respect their culture and the Thai’s will welcome you with bigs smiles. One of the biggest mistakes tourists make while in Thailand is jumping into a taxi without a meter or without the meter turned on. This is especially the case in Bangkok and after you’ve landed at the airport, your tired and just want to get to your accommodation so take the first taxi you come across. It may sound like your getting a good deal compared to your home country but with the meter on it will be loads cheaper. Before getting in a taxi make sure the meter is on, if not ask for it to be turned on. If the driver refuses, shut the door and wait for the next taxi. Don’t get fooled into thinking you’re getting a good deal without the meter, you won’t be. If you’re planning to head to Thailand and travel around the country it can be very tempting to over plan your trip and pre-book accommodation and tours. A lot of people do this due to it being a new country and are unsure how easy it is to book once there. Speak to experienced travellers and they will always tell you to never book too far ahead as plans change all the time, you may arrive in one place and fall in love with it and want to stay longer, or you may hate it and want to leave straight away. The best advice is always to book your first night and then go from there. Go and explore, enjoy your freedom and have an adventure you can’t book via a tour. Pad Thai, spring rolls, Kai Jeow and of course the infamous deep fried insects are just a small amount of street food you can try in Thailand. But a lot of new visitors are worried that if you eat the street food you’ll be ill, and while this may happen it’s just as likely you’ll be ill from a 4-star restaurant. It’s definitely recommended to try the street food as it’s delicious and not to be missed, so don’t be put off. 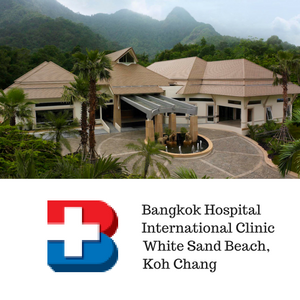 Some good advice to follow to avoid illness is to eat where the locals eat, ( Check out our recommended restaurants on Koh Chang. ) make sure the food is cooked fresh in front of you and to carry and use hand sanitizer with you at all times and use before eating. 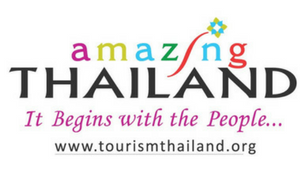 Follow these helpful tips above to make your first time in Thailand run smoothly and most importantly enjoy your time in the land of smiles!